Only 35 min to Varna! 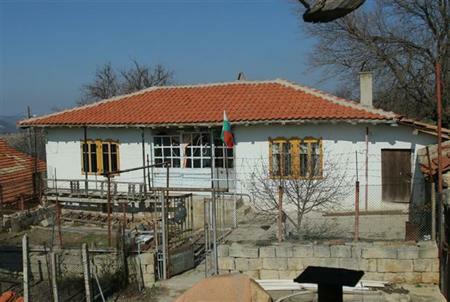 Description: Partially refurbished house located in a picturesque well maintained village only 4 km from the town of Provadia with all basic amenities, 40 km from Varna, the seaside, 38 km from the international airport. There are 30 houses in the neighborhood, which belong to British families and an authentic castle in the vicinity (3 km) of the village. The house comprises of corridor and 3 rooms, premise, which can be fitted as an indoor bathroom. 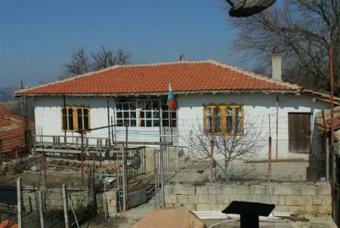 The house is built of stone and bricks with elements of authentic Bulgarian style. The house is brick built and it is in good condition-livable, needs just cosmetic repair. The garden is spacious and is 1520 sq m, and is planted with all kinds of fruit trees. There is a stone outbuilding in the plot, which can be converted into an outdoor BBQ. The property borders 3 roads and is suitable for residential or business purposes. You will enjoy both the nature and the beautiful landscape that the village offers, this would make an ideal holiday home!